For the past 4 years JGC has developed a very loyal network of advisors and experts who are on the pulse of progression on a daily basis. One of the key objectives of the 2019 version is to really explore the reality of the law & guidelines, and their impact on the whole IR economy. Some of this year’s speakers including GMA, Goldman Sachs, Marina Bay Sands, MGM Japan, Galaxy Entertainment and Toru Mihara are on hand to help with this. 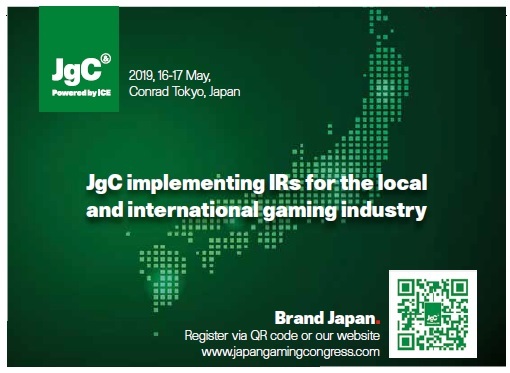 Japan is set to be one of the Worlds biggest Integrated Resort Casino destinations with a potential gross gaming revenue at 1.75 trillion yen assuming the three regions of the metropolitan Tokyo Osaka and Hokkaido are chosen as sites. So the role of JGC is significant. Will there be representatives from the Japanese Government at this year’s Congress? As always with JGC, we welcome a healthy attendance of Diet members, local government, and prefectures. Gaining their support over the years has been key in getting JGC the profile which it now has in the local market. We expect even more this year. What are the plans for this event in the future, could we see it evolving into an ICE Tokyo? There is always an opportunity to expand the ICE brand beyond London, similar to what we have done in North America and Africa in recent years. We will of course be keeping a close eye on the market in Japan and further afield to work out the best time to bring the ICE experience to this region. How easy is it for those whom have not previously attended JGC to get from the airport to the venue? The Conrad is a luxurious venue and conveniently based in the Shimbashi Business District, the journey in from both Haneda and Narita airports are pretty straightforward by train and car. Especially with efficiency of local transport! 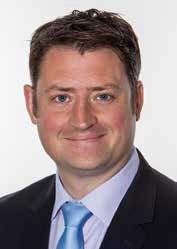 Can you provide readers an insight into who will be speaking at this year’s Congress? The agenda provides a great balance between international and local speakers. All of the key operator bosses are on the line up including George Tanasijevich, Ed Bowers and Chris Gordon. We will also hear insights from brands such as Shochiku, Wolfgang Puck and the Carter Group paired with our Japan IR experts Ayako Nakayama, Akira Kurita and Toru Mihara. Stay tuned for our Government speaker line up which is being announced soon. Have you details on the conference topics? This is the first year that JGC has taken place post implementation of the bill. So there is a big responsibility for the agenda to move exactly in line with the developments in the market. Our production team conducted extensive research to create some clear themes. Regulation & Policy, Finance & Investment, Integrated Resorts, Economic & Social Impact, Brand Japan and Next Gen & Gaming. Can you provide details on the networking opportunities? There are many networking opportunities at JGC, the structure and programme lends itself well to that. High level events such as the Chairman’s Dinner, and the Official Reception could well be the inception of many new partnerships. the place for any industry looking to be part of that market. For those that may want to factor in a little sightseeing how easy is that to do? Tokyo is an amazing city full of incredible experiences, sightseeing is rich and in every district – a must when in town! Specifically, it boasts the most Michelin star restaurants in the world, and I would personally recommend a visit to the Meiji Shrine. Have you learnt any Japanese language and have you any particular favourite Japanese food? My Japanese is work in progress! I have never had a bad meal in Japan on the many visits I have now made there, it is a different culinary experience to anywhere else in the world and has certainly spoilt London’s sushi offering for me. How excited are you about Japan and these new Integrated Resorts and what are you looking forward to seeing once they commence opening up for business? Very excited. I feel that all of the cultural and technological aspects that Japan can add to an Integrated Resort, they really will be some of the finest examples in the world. How have registrations been so far this year for JGC 2019 in comparison to previous years? The demand is higher than ever, but to be expected given the pivotal moment we are in and of course great following the event has built over the years. Could you explain to our readers why they should attend this year and not wait a few more years? I think this year the gauge has changed, and our market intelligence is telling us that this is now an investment piece. Partnerships, consortiums, supplier relationships will be forged at this year’s JGC. It quite simply has never been more important to have a presence in those conversations. For those considering attending what is your advice about what they can expect to see? A great line up of the most important figures shaping the future of the IR market in Japan. Full stop. How can readers find out more about JGC 2019 and register to attend?